A North Miami Beach business owner is distraught after a speeding car lost control and obliterated his real estate office building overnight. 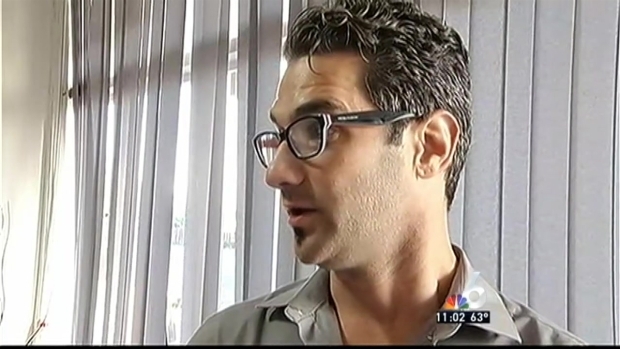 Ronen Hazan, owner of Yakut Properties located at 1072 North Miami Beach Boulevard, says he got a call at around 1:00 a.m. that a car had crashed into the office. "I was super panicked," Hazan says of the moment he got the call. "I thought it was maybe just a broken glass." When he arrived, however, Hazan saw far more than he'd bargained for. A North Miami Beach business owner is picking up the pieces after a speeding car lost control and obliterated his real estate office building. NBC 6's Julia Bagg reports. According to police, the driver crossed all the way over from the other side of the road and hit a pole before slamming through the glass doors of Hazan's business, piling through the office and nearly drilling through the wall into yet another office. 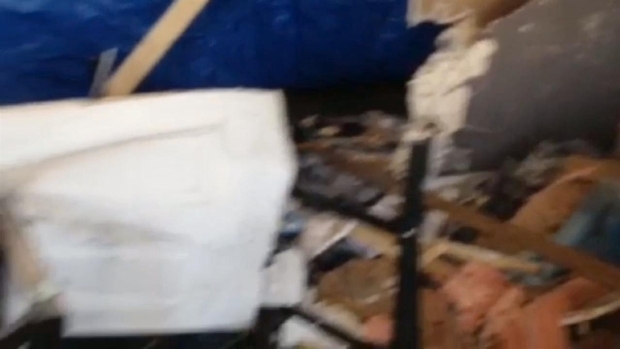 The driver left a path of destruction through Hazan's office, with office supplies and chairs reduced to rubble. He described the moment as "unrealistic" as he saw the car inside his property. "It's shocking. This is my baby, this is my everything. I spend about 10 or 11 hours a day here, and I put every little detail into the place myself," Hazan says. The driver was ticketed for speeding but was not arrested, according to police. He was later identified as 39-year-old Willy J. Joseph. According to a report, Joseph said he swerved to avoid hitting a pedestrian. Hazan says that the process of going through his insurance will be time consuming, but that he will rebuild. His main concern this morning was his clients. "I have a lot of tenants depending on the daily basis of operations," he says. 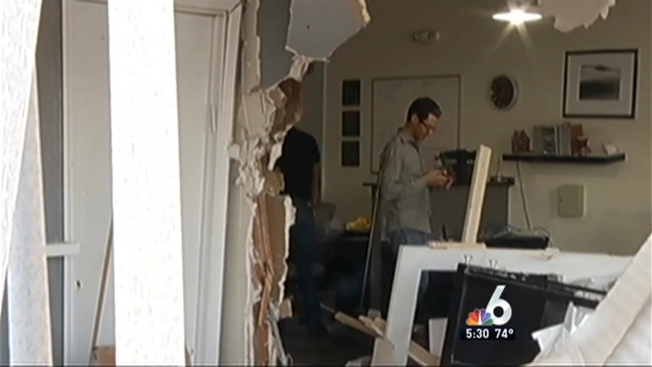 Julia Bagg is in North Miami Beach where a car slammed into a real estate office overnight. To add insult to injury, today is Friday the 13th and it's Hazan's birthday. Instead of cake and gifts, Hazan says he'll be spending his birthday cleaning up the mess and handling the necessary steps to rebuild. While Hazan says he's "definitely getting hurt here with damages," he's thankful the accident occurred at a time when the business was unoccupied so that no employees or clients were hurt.